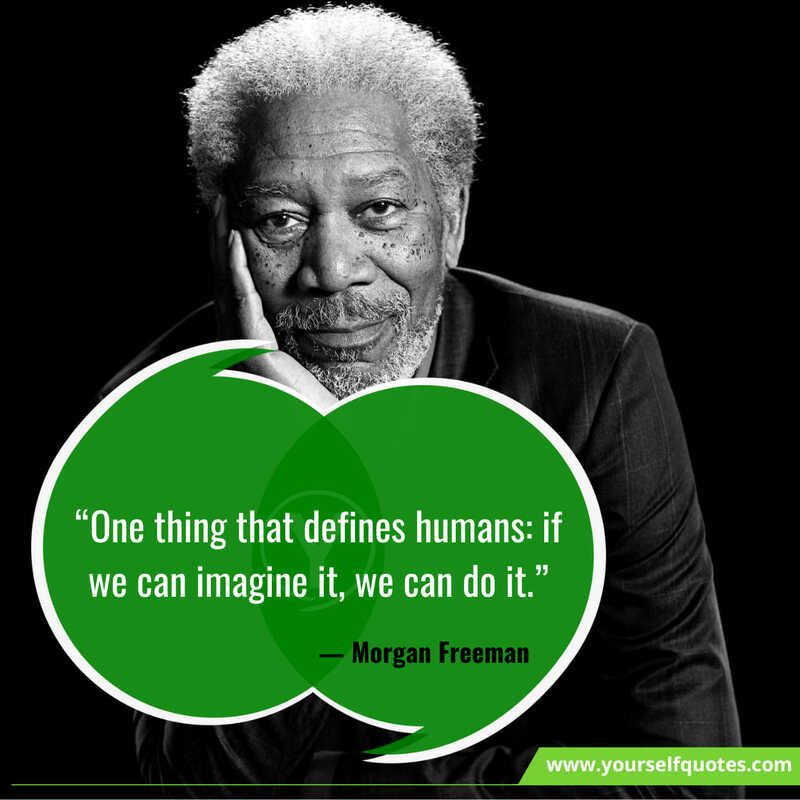 The most inspirational words for becoming a confident individual, then have a look at the real Morgan Freeman Quotes to become an inspiring personality. One of the most respected American actor, producer, and the narrator was born on June 1, 1937. He was none other than Morgan Freeman. He was born in Memphis, Tennessee, United States. His father, Morgan Porterfield Freeman, was a barber and mother Mayme Edna was a teacher. He had three older siblings. As a kid, Morgan used to spend his time scraping together enough money to see the money. It was that time by chance he got himself into acting. At the age of 12, when he was in junior high school, one day he was punished, for pulling a chair of the girl he had the crush on and was ordered to participate in the school’s drama competition. Finally, he proved to be a natural actor on the stage. 1967, he married Jeanette Adair Bradshaw. And in the very same year, he got a role in an African-American Broadway Production of Hello, Dolly! starring Pearl Bailey. He appeared in The Electric Company, a public television-produced children’s TV show that focused on teaching kids how to read. Freeman made his directorial debut in 1993 with Bopha! For Paramount Pictures. In July 2009, Freeman was one of the presenters at the 46664 Concert celebrating Nelson Mandela’s birthday at Radio City Music Hall in New York City. Freeman won an Academy Award in 2005 for Best Supporting actor with Million Dollar Baby, and he received Oscar nominations for his performances in Street Smart, Driving Miss Daisy, The Shawshank Redemption, and Invictus. He is ranked as the fifth-highest box office star with $4.31 billion in total box office grosses, an average of $74.4 million per film. Freeman uttered the words of wisdom that became an inspiration for all to follow and move with. His quotes make us think out of the box and broaden our vision of life from his point of view. So let’s have a look at the most inspiring life quotes by him. All the generations and coming generations can find a lot of inspiration and can get glean wisdom from the words of Morgan Freeman. He is a man of a strong belief in humankind and equality. We should feel inspired from within by following his words. And through his quotes, we come to know how he leads his life and treats all. Share the most inspirational Quotes by Morgan Freeman with your family, friends and loved ones, to make their life even more inspiring.